I first met Meaghan Frank a year ago at the NY Drinks NY “Women Winemakers” seminar. Of course, I have been drinking the wines her family makes for years. I was hoping to visit the winery and when my good friend, Annemarie Morse, asked if I wanted to join her, I was happy to accept. We began our tour with a look at the sparkling wine cellars and the history of the family. The Frank family history is directly intertwined with the story of the Finger Lakes region itself. 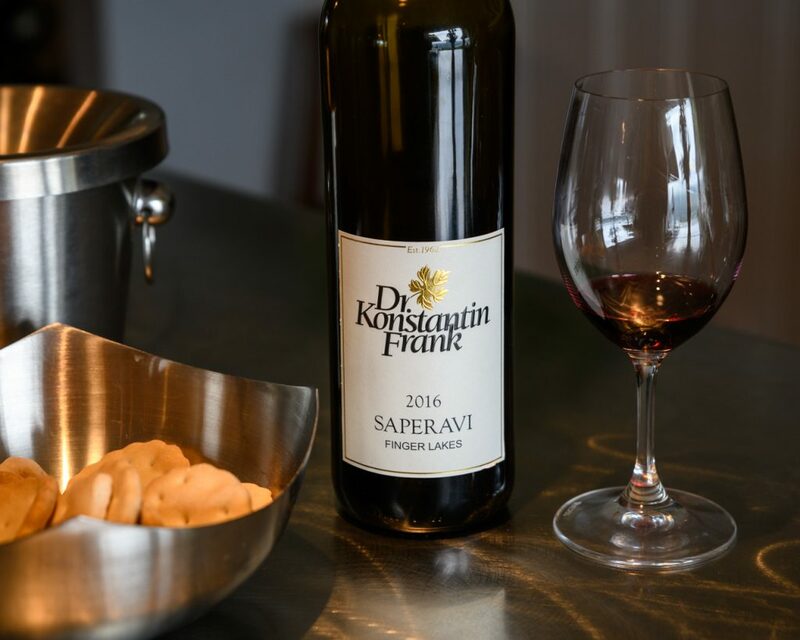 Four generations have taken care of these vineyards, carrying on the legacy of Dr. Konstantin Frank. However, the family does not rest on its laurels but continues to improve and innovate. A good example is the Rkatsiteli Amber, a wine aged in amphorae to reconnect to the traditional Georgian vinification and preserve the fruit of the grape while creating the deep textural note that makes Georgian wines irresistible. Disgorged July 2018. Bright, light bubbles, hint of ginger and grapefruit. The palate is light, with citrus and hints of lemonade. That sweet citrus note continues toward the finish, adding zest and a sparkle. Fantastic and unique. The wine spent 15 days on the skins and 5 days of cold soak. Honey, hay and grapefruit rind on the nose. Textured, crunchy palate, mineral notes, citrus – especially yellow grapefruit. Balanced and long on the finish. Really enjoyable. A lightly “orange” wine. I am continually impressed with how well this grape does in the cool Finger Lakes climate. The jammy, black fruit on the nose offer deep sweet notes of blackberry and plum. The palate has a textured, tannic black fruit. Sweet and savory herbs, good power in the mid-palate, rich note on the finish. Simply delicious – now and perhaps in a few years. Our favorite place to stay in the Finger Lakes is Trumansburg. A lovely town, with excellent food, and quite centrally located – giving us easy access to many of the wineries in the area. 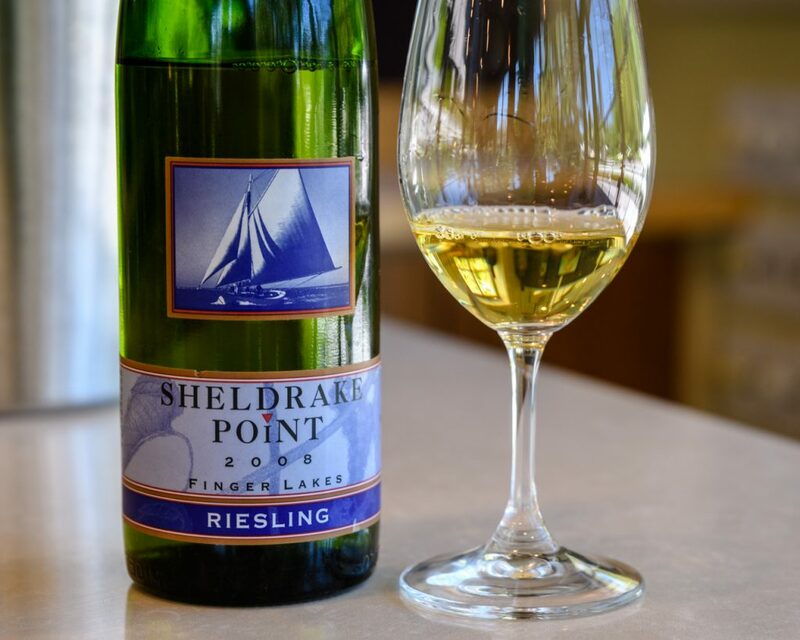 A short drive up the east side of Cayuga Lake brought us to Sheldrake Point Winery. My initial interest was in their gamay wines, an intriguing grape for the area. Gamay, famous for the delicious wines of Beaujolais, offers the red fruit and earthy tones of pinot, but with a riper and softer touch. I was intrigued by the possibility of this grape in the Finger Lakes. However, as we tasted through the lineup, I found the riesling wines quite intriguing. And then we got to the sweet wines – which were truly spectacular. Especially the Cabernet Franc Ice Wine, full of strawberry and orange notes. I am always interested in trying library releases; they provide a unique view into the way a wine can age in near-perfect conditions. This 2008 is an excellent example of this. Showing quite young, tropical notes dominating, but with undertones of yellow peach and sage. The mid is ripe, with a hint of late harvest fruit, and yet retaining a tang and notes of thyme. Rather intriguing! Ripe, tropical wine, lemon, kiwi notes along with floral and pineapple tones. There is a hint of mineral in the mid, though the wine is a bit soft and could use more brightness. Exotic version of riesling, especially for the Finger Lakes. Intriguing, this showed the masculine notes I expect from a Rhine Riesling. Ripe core but with good minerality and a bright, serious finish. There is a hint of RS on the back palate, but the finish is clean and dry. Gamay is an interesting red grape for the Finger Lakes. 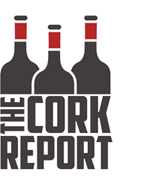 This wine is elegant and earthy, not unlike a lighter Pinot Noir, but with a more mineral and tannic core, riper fruit that expected from the nose. With a few years on it, this Gamay showed a deeply earthy tones, licorice and ripe berry flavors. 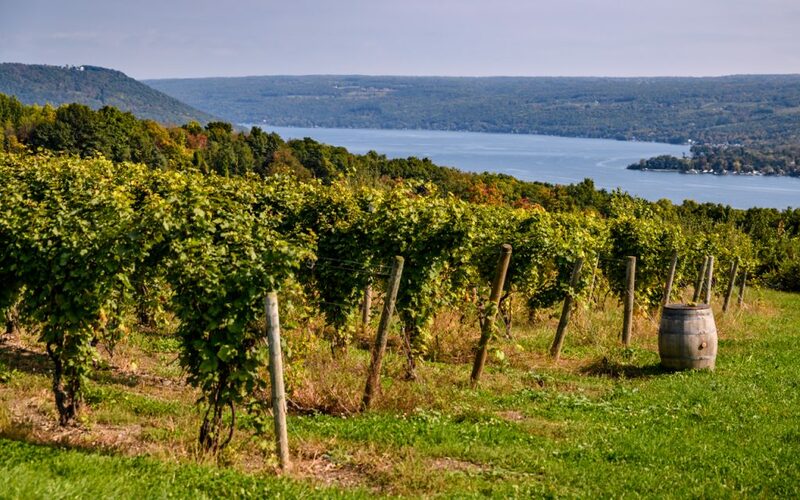 The wine is proof of the age-ability of the grape in the Finger Lakes and, perhaps, is an interesting direction for a light red wine in the region. If you are seeking something unique, look no further. Strawberry essence, bright orange, cherry pie notes with a hint of cinnamon. Delicious. On this trip to the Finger Lakes region, I had several set goals. One of them was to discover more about the red wines produced in the area. 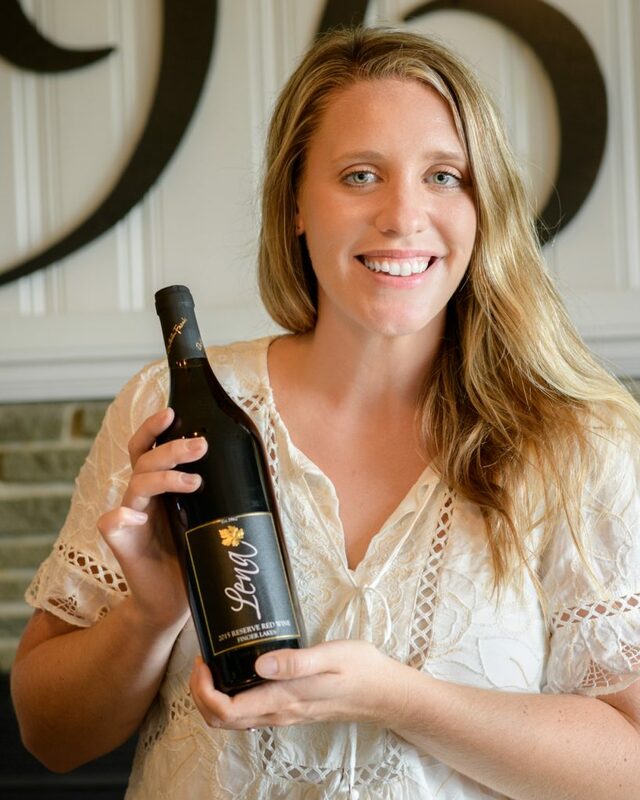 This led me to Red Tail Ridge, not only for their pinot noir, but also for the rare Italian grape – teroldego. Hailing from northern Italy, it is a grape capable of giving rich, black-fruited wines, balanced with a core of acidity. Since most cooler-climate red wines tend to stay on the red fruit side of the scale, I am always interested in a grape that could offer the deeper blue and black fruit tones, and still keep the brightness and freshness that is a hallmark of the region. 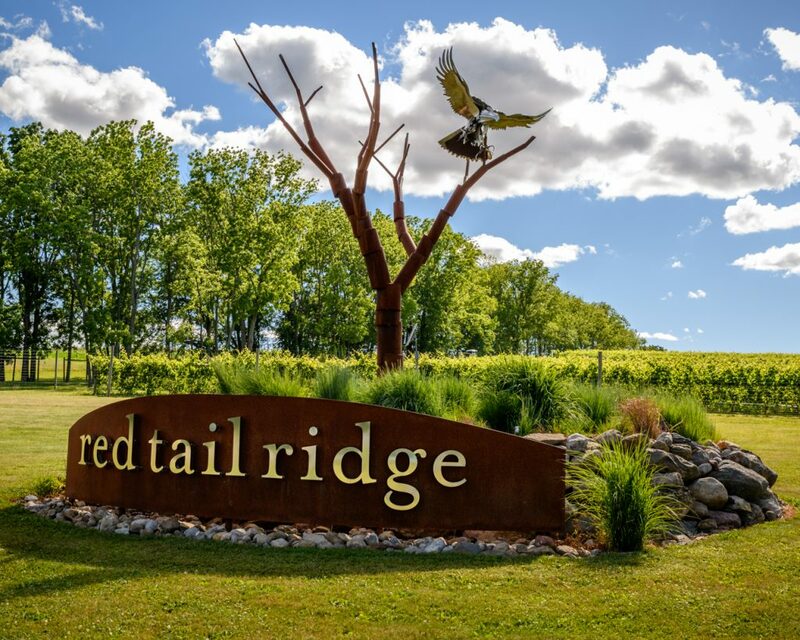 Teroldego seems like an interesting option – and the one I tried at Red Tail Ridge, even from a cooler 2015 vintage, proved the point. A quite intriguing Riesling, with a kabinett level of sweetness. Sweet peach dominates, hints of ginger, needs a bit more acidity, but pleasant if a bit round. The wine shows roses, lemon and ginger notes. There is a hint of minerality and a bit of oiliness on the palate. Balanced, showing good citrus notes on the finish. This is an Auslese-style wine, made from selected bunches of late-harvest botrytized grapes. A powerful, ripe and tropical wine. Yellow peach melds with honey and mango, the sweet citrus notes of botrytis show, both on the nose and the palate. Sweet lemon curd leading to a ripe finish with hints of tart orange peel. The cooler year showed in the lighter, earthier tones of the wine. The mid palate shows herbs, rustic notes and tobacco leaf. The bright cranberry note and fresh acidity make the wine a great match for lighter cuisine. Vinified in neutral French oak, the Teroldego is an impressively powerful, but fresh and deeply fruit driven wine. Savory herbs in the middle support the dark blue and black fruit. While full of ripe fruit, the wine carries its rustic power easily, balanced by the core of acidity and tannin. Excellent.